I retook the TOEFL iBT on 12th May and got the desired score – 116 (R30, L30, S26, W30). I thank you for all the speaking practice tests and comments that helped me boost my speaking score. I just got my TOEFL score – 113 overall, and I’m thrilled about it. (Writing/Reading – 29, Listening – 28, Speaking – 27). I want to thank you for your great tutoring – you really helped me a lot. I used your service for about a month, and that made all the difference – your input and guidance really helped me do all the right things. I think your service can help anyone at any level, since you make sure your students focus on what they require the most. So, once again, Thank you! To continue to improve your pronunciation of word stress, you will need to become familiar with word stress patterns of various word combinations. For example, how would you pronounce the following words: downwind, watch over, underestimate, USA, and autistic? What about conduct when used as a verb or when it is used as a noun? Would you place the primary stress in the same part of the word in both parts of speech? These are additional issues that I will focus on in my Online TOEFL Course. Having appropriate word stress can benefit your TOEFL iBT test-taking experience three ways. First, having appropriate word stress improves your intelligibility. Second, avoiding word stress shifts ensures that your speech does not distract listeners from what you are saying. Finally, competently using word stress makes you natural-sounding. Of course, human raters, impressed by your clear, non-distracting, and natural-sounding speech, will be pleased to give you high scores on TOEFL iBT speaking. Unfortunately, word stress poses great challenges for learners, so much so that TOEFL iBT human raters are specifically trained to pay close attention to your proficiency or lack thereof in this area. Due to inexperience with English or interference from a first language, you may be unsure what to do, for example, when two adverbs combine to form one word: northwest. Is the stress placed on the first or second word? In other cases, in words such as go through and put down, would you place stress on the first or second word? Furthermore, if you hear reCORD, is it being used as a verb or noun? How about when someone says EXploit? Is it being used as a noun or a verb? Do you change your word stress when using nouns or verbs? There are even additional rules with word stress and verbs which have prefixes such as dehumidify, preview, and withdraw. In these examples, would you stress the prefix or the base? As you can see, there are numerous rules regarding word stress and certain word combinations, and it will take you time to get familiar with these rules. Through my Online TOEFL Course, you will learn word stress patterns of compound adverbs, two word verbs, two-syllable nouns and verbs, verbs with prefixes, and abbreviations and symbols. In addition, you will learn how to predict stress with suffixes and word endings: -ic, -ical, -ify, -ogy, -tion, -graphy, -ious, -ian, -ical, -ee, -eer, -ese, -esque, -ique, -ette, -et, -ate. For example, you will learn that when you see a word that ends with the ending -ee the stress is placed on the last syllable, i.e., referEE. The value of using word endings to predict stress in incalculable: by learning stress patterns of word endings, you will be able to predict word stress patterns of thousands of academic words. Now you may be thinking to yourself, “Heck, I can learn this naturally by speaking regularly with native speakers.” It is true that you can learn word stress naturally, but it may take you 5-10 years before you internalize all the rules that are explicitly taught in this course. Therefore, my Online TOEFL Course can dramatically short-cut your path to near-native speaker proficiency by giving you intensive practice with word stress in the form of listening discrimination exercises of academic sentences and paragraphs. You needn’t wait 10 years before you can win your battle with word stress. Subscribe to my Online TOEFL Course and begin reducing your word stress shifts immediately. The first step to successfully pass the TOEFL iBT Exam is building vocabulary proficiency. Let’s face it. How can you understand college level vocabulary without having basic vocabulary? Moreover, how can you perform optimally when reading and listening to TOEFL7 iBT passages without a good vocabulary foundation? Finally, how can you support your generalizations on the speaking and writing sections with details without having practiced vocabulary beforehand? For example, if you are asked to summarize a lecture about mountain ranges in the United States, will you have sufficient vocabulary to accurately and intelligently complete the speaking or writing task? Lesson 4 is divided into 3 parts, each part containing 500 words: Advanced TOEFL iBT Vocabulary Course I (A-E), Advanced TOEFL iBT Vocabulary Course II (E-P), and Advanced TOEFL iBT Vocabulary Course III (P-Z). Yep, if your TOEFL iBT score is above 60/120, this is the right vocabulary course for you. If your TOEFL score is below 60, you should take TOEFL Vocabulary Lesson 3 first. You will learn 1,500 words, and yes, these are the same words that you downloaded. However, in this lesson, you will get audio files of all the words and thousands of test questions to test your mastery of the words. 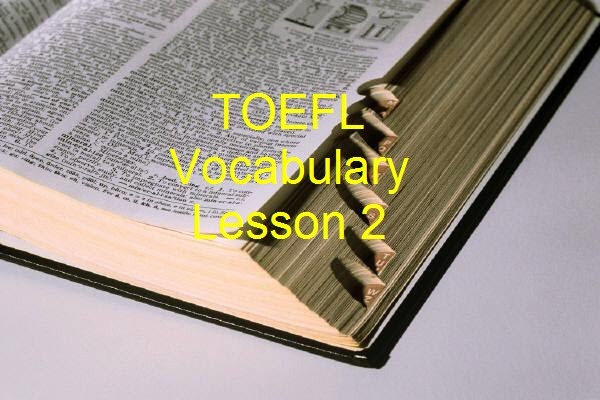 I have another lesson to help you learn the other 200 words: TOEFL Vocabulary Lesson 3. The Advanced TOEFL iBT Vocabulary Course I, designed for high intermediate level students in terms of English proficiency, will give you a solid foundation of college level vocabulary, increasing your word recognition of TOEFL iBT and college-level vocabulary words. Carefully designed skill-building vocabulary quizzes will sharpen your ability to recognize synonyms and antonyms of the words you study. Additionally, these quizzes will reinforce the noun, adjective, adverb, and verb forms of the words you study and will give you a chance to see the words placed into various reading passages. Finally, you will hear the pronunciation of the words you study so that you will be able to recognize these words when you see them in reading and listening passages. The Advanced TOEFL iBT Vocabulary Course II, designed for high intermediate level students in terms of English proficiency, will give you a solid foundation of college level vocabulary, preparing you for reading passages on the reading, speaking, and writing sections of the TOEFL iBT. Since the vocabulary words you study will be placed into academic reading passages to give you a context, you will see a variety of punctuation marks used. Furthermore, after taking this course, you will be able to recognize most academic words on the TOEFL iBT, making it less likely that you will plagiarize the reading passage on the integrated writing section. Finally, this course will give you the vocabulary confidence you will need during your 4.5 hour TOEFL iBT test-taking experience. The Advanced TOEFL iBT Vocabulary Course III, a vocabulary course designed for high intermediate level students in terms of English proficiency, will give you the final pieces of the TOEFL iBT vocabulary puzzle. Upon completion of this course, you will not need to be overly dependent on translation dictionaries, for you will have developed a broad base of academic vocabulary and vocabulary in context strategies, one of which is to use referents to understand the meanings of other words in a sentence. You will be able to read faster with higher comprehension, and you will be able to read, listen, speak, and write with confidence when taking the TOEFL iBT. Here is an example of one of more than thirty audio files. I pronounce each word three times: 1) so you can hear the new word, 2) so you can recognize the new word, and 3) so that you can learn the new word: Vocabulary words 501-530 . The audio files are low quality so I will NOT charge you for any of them. Therefore, instead of charging you $29.99, I will only charge you $4.99. There are 1,487 practice questions, all designed to reinforce not only the meaning of the words you study but also the synonyms, antonyms, and nouns, adjectives, adverbs, and verbs of these new words. Additionally, you will repeatedly see how the vocabulary words are used in academic contexts. The sixth step to successfully pass the TOEFL iBT Exam is to gain competence in independent and integrated writing skills: decoding the writing task, organizing a coherent response, writing detailed developmental paragraphs, and ending the essay with a conclusion. Without an organized approach to these writing tasks, students often write incoherent essays, and, in the case of the integrated writing tasks, they do not coherently and accurately connect the reading and listening passages together. But this will not happen to you, will it? 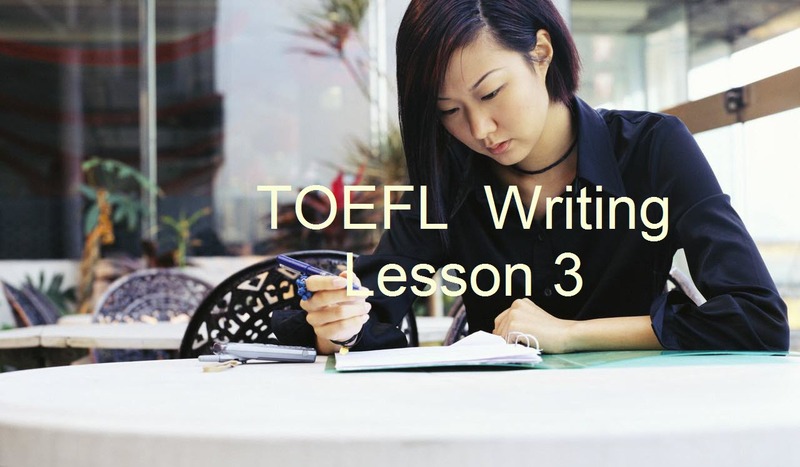 In TOEFL Writing Lessons 1 and 2, you learned prewriting strategies and how you should structure your introduction so that it leads to a sharply-focused thesis. In TOEFL Writing Lesson 3, you will get a pdf file containing 45 sample essays of TOEFL iBT independent writing tasks. A huge amount of research suggests that there is a strong connection between reading and writing; therefore, if you read “model” essays of TOEFL iBT independent writing tasks, you can implicitly learn how to organize your own writing tasks since the “model” essays demonstrate how to write effectively, including…. 1. Writing a strong introduction leading to a sharply-focused thesis. 2. Using coherent topic sentences which restate one of the key points in the thesis. 3. Supporting generalizations with specific details based on personal experience or the experience of others. 3. Using advanced grammar and vocabulary. Good question!! I got them straight from the horse’s mouth–Education Testing Service at http://www.toefl.org. You see, when you take the TOEFL iBT, ETS chooses from among 187 writing prompts. These are 45 of the 187 writing prompts that ETS uses during TOEFL iBT independent writing. So, I guess you can say there is a 25% chance that you MAY have to write a response to one of these writing prompts. What do resident doctors do when they get a new cadaver (dead body) during medical class? They operate on it to learn how the human body is constructed! I know it sounds gross, but it is true. 1. Copy each essay (word for word) onto your note-book paper so you can get a feel for how the essay is constructed. 2. Then identify the thesis in the introduction, then the topic sentences, then the supporting details, and so on. You get the picture. 3. Identify unfamiliar vocabulary words in the sample essays and begin keeping a vocabulary journal. Pay close attention to HOW these unfamiliar words are used. 4. Identify the sentence structures used, for example, simple, compound, and complex types. 5. Look for “organizational” words the writer uses to coherently connect ideas together. 6. Without looking at the original, practice writing a response to each writing task. Compare your response to the “model” response. I guarantee you that, if you implement these six steps into your regular TOEFL writing routine, you will improve your writing skills. So, buy this lesson so you can begin practicing these steps today. Yep, try before you buy. I understand what you want. Click on this link: prompt response 45. If you write a response similar to what you just viewed, you will get 30/30 on the independent writing task of the TOEFL iBT, or my name is NOT Michael Buckhoff. Yep, you will, but think about how high your TOEFL iBT writing score will be if you take TOEFL Writing Lesson 3. And, consider this, as an incentive for you to get this lesson today, I am going to throw in some bonus materials. As part of a complete package for TOEFL Writing Lesson 3, you will also get five test-taking strategies that you should follow when you take the writing section of the TOEFL iBT. You can practice following these strategies as you write responses to the 45 writing prompts in this lesson. Buy TOEFL Writing Lesson 3 today, and you will get more than45 hours of writing practice: 45 writing prompts, 45 model responses, 3 free writing videos, and three free mini-writing lessons. You can improve your writing skills! You will improve if you buy this lesson! The first step to successfully pass the TOEFL7 iBT Exam is building vocabulary proficiency. Let’s face it. How can you understand college level vocabulary without having basic vocabulary? Moreover, how can you perform optimally when reading and listening to TOEFL7 iBT passages without a good vocabulary foundation? Finally, how can you support your generalizations on the speaking and writing sections with details without having practiced vocabulary beforehand? For example, if you are asked to summarize a lecture about mountain ranges in the United States, will you have sufficient vocabulary to accurately and intelligently complete the speaking or writing task? In TOEFL Vocabulary Lesson 2, you will get 1 hour and 22 minutes of TOEFL iBT video instruction. The information in this lesson greatly expands on the eight vocabulary strategies you learned in TOEFL Vocabulary Lesson 1. I demonstrate how to answer unfamiliar vocabulary in eight TOEFL reading passages. Step by step I show you how to apply the eight strategies you learned in lesson 1 t to these academic reading passages. Yes!!!! You also get some bonus material at the end of the video, including how to understand the meaning of unfamiliar words through affixes (word parts). You will get an extensive list of prefixes, roots, and suffixes with meanings and example words to help you understand these word parts. The product is valued at just under US $99 because I get paid an hourly rate of US $75 dollars an hour to teach TOEFL and composition classes at a university in California. You get almost 1.5 hours of instruction in this power-packed lesson. However, I want you to benefit by learning this information, so I am lowering the costs to a level that most TOEFLers can afford. Heck, you cannot afford to not learn this information because it will help you improve your TOEFL iBT vocabulary skills in listening, reading, writing, and speaking sections. Of course, that means you will improve your TOEFL iBT score quickly. OK…OK…I will stop beating around the bush. Like I said before, the cost for this product will be reduced to a price just right for you: $US 4.99. Hurry, though. I can not keep this product at this low price for very long. Better TOEFL Scores will increase the cost of this lesson soon, so get your lesson now. The seventh step to successfully pass the TOEFL iBT Exam is learning competent speaking skills: decoding the speaking task, organizing a coherent response including a topic statement, delivering rich details in the body of the speech, and ending with a conclusion. Despite your preparedness, you will have difficulty on the speaking section, but, if you have completed all the prior steps to this “7 Step Program to Pass the TOEFL iBT Exam!” you will have the vocabulary, pronunciation, grammar, listening, and reading proficiencies that will be crucial elements in helping you to score high in TOEFL iBT speaking. Additionally, after having taken the writing course, you will have the organizational skills that you can transfer to your speaking proficiencies. For starters, you will get the exact same study plan Mydan used to score 26/30 points on the TOEFL iBT speaking. His overall TOEFL iBT score is 100/120 pts with the other subtotals as follows: reading 27/30, listening 22/30, and writing 25/30. Asking that question is like asking, “Why do I need oxygen?” Obviously, if you do not have oxygen, you will die. And, if you fail to plan, you are planning to fail the TOEFL iBT speaking section. TOEFLers have extreme difficulties passing the speaking section. To make matters worse, many professional programs (i.e., pharmacy programs) require a score of 26 pts. on the speaking section before applicants are admitted. Therefore, there are a lot of desperate TOEFLers who, if they had the right study plan, could pass the TOEFL iBT a lot sooner. You should take TOEFL Speaking lesson 3 so that you can get an effective study plan to help you get 26/30 pts. As a TOEFL teacher since 1994, I have tried, revised, and modified TOEFL study plans more times than I can count. Having helped thousands of students pass the TOEFL iBT, I know which study plans work and which ones do not. There is no shortcut to getting a 26/30 pts. on the speaking, but I know that, if you do certain things over an extended period of time, you will get better. You need to take this lesson today so you can see what you need to do to get better. And then you can begin doing the exercises every day. 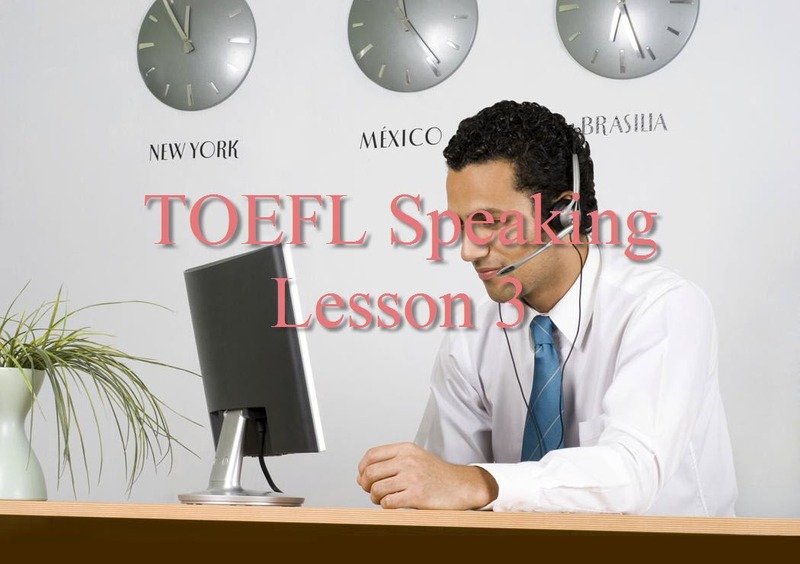 The sooner you get started with this lesson, the sooner you will begin improving your TOEFL speaking score. To sum up, based my thousand of hours of teaching experience, I can say that Mydan’s study plan will definitely work for you. Great question but I will not attempt to answer it. The truth is there are a number of factors that will determine how long you will need to study before getting a 26/30. For example, if your speaking skills are intermediate level right now, it will take you longer to get 26/30 pts. On the other hand, if your speaking are advanced, if you follow this TOEFL speaking study plan, you will be able to get a score of 26 in a lot less time. One thing for sure: now matter who you are or what language you speak, if you work hard and follow this study plan, you will get a score of 26/30 on TOEFL speaking. You bet you will. I have another 14 minute video that you will get to watch/download for free. In this video, I analyze a student’s official TOEFL iBT test score report, particularly with the intent of showing how to understand the scores so that you can make significant improvements in your TOEFL language skill areas. This is a must-watch video for anyone who is planning on taking the TOEFL iBT. You got it. So take this lesson, get a study plan, and learn about the score report that you get after you take the TOEFL iBT. Knowledge is power!!! The third step to successfully pass the TOEFL iBT Exam is learning basic and advanced sentence structures, verb tenses, word forms, word choice, parallel structures, and so on. Think about the importance of grammar. A car can not run without its engine, right? Most certainly, a language can not exist without its grammar. Without having a knowledge of grammar, you will be limited in your reading, listening, speaking, and writing skills. In addition to having good sentence variety and knowing how to create more advanced sentence structures, which were important teaching points in TOEFL Grammar Lesson 1, you will also need to be concise. The purpose of TOEFL Grammar Lesson 2 is to teach you four techniques that, if applied correctly, will help you to use as few words as possible. Toward this aim,you will get a checklist of wordy phrases you should never use during TOEFL iBT speaking and writing. Then you will see more concise versions of those lengthy expressions. The TOEFL iBT cares! One of the criteria that TOEFL iBT human raters will use to score your speaking and writing tasks is your word choice. To score high, you should not use redundant expressions, you should not be repetitious, you should eliminate empty or inflated phrases, and you should reduce clauses, whenever possible, to phrases or single words. Being able to use language in this manner will show TOEFL iBT human raters that you have near-native speaker fluency when it comes to grammar and word choice. Ultimately, you will get higher scores on TOEFL iBT speaking and writing by being able to apply the concepts taught in TOEFL Grammar Lesson 2. Don’t lose out on the opportunity to get this valuable instruction. Yes, you will get 20 practice exercises. In each exercise, you will get specific instructions regarding the specific number of words you should eliminate from the sentence. Using a sheet of paper, you will reduce the sentence according to the instructions. Then you will see a possible answer in the video so you can compare what you wrote to a model sentence. If you can complete at least 10 of these exercises correctly, you can be sure that you will be able to apply this grammar to your TOEFL iBT speaking and writing. 1). Having taught more than 200 English grammar and 200 TOEFL classes since 1994 at California State University, I have a combined total of 3,400 hours of classroom teaching. And that doesn’t count the 1st and 3rd year composition classes I have taught at the same school since 1997! When it comes to grammar and particularly how to use it to advance your speaking and writing proficiencies, you will NOT find anyone more qualified than I. Buy this lesson because I am qualified to teach you the lesson, and I am genuinely interested in helping you score higher on TOEFL iBT speaking and writing. You will not be dissapointed with my instruction. 2). Buy this lesson because I will give you a bonus. That’s right, you can watch a 40 minute video of a TOEFL iBT student who scored 106/120. Yep, I am. Think of how much you can learn from someone just like you– someone who studied and worked hard to pass the TOEFL iBT. She will give you some tips that will help you 1) as you prepare for the TOEFL iBT and 2) when you take the TOEFL iBT. Trust me, you will want to hear her story. And with my extensive TOEFL iBT teaching experience, I ask her all the questions you have always wanted to know answers to. Think about it for a minute. For 40 minutes, Maika, the TOEFLer who scored 106/120, will explain to you what you should be doing now to prepare for the test, and she will explain successful test-taking strategies that you can use when you take the official TOEFL iBT. This is valuable information that can help you in ways you never thought possible. Hurry and buy this lesson, for Better TOEFL Scores will NOT be able to offer this free bonus video (valued at over US $50.00) for very long. This is a LIMITED offer!!!!!!!!!!!!!!!! The first step to successfully pass the TOEFL iBT Exam is building vocabulary proficiency. Let’s face it. How can you understand college level vocabulary without having basic vocabulary? Moreover, how can you perform optimally when reading and listening to TOEFL iBT passages without a good vocabulary foundation? Finally, how can you support your generalizations on the speaking and writing sections with details without having practiced vocabulary beforehand? For example, if you are asked to summarize a lecture about mountain ranges in the United States, will you have sufficient vocabulary to accurately and intelligently complete the speaking or writing task? This first lesson is like laying a foundation of concrete before you build your dream house. In other words, you will need not only to understand these nine vocabulary test-taking strategies but to be able to apply these strategies to new words during the listening, speaking, writing, and reading parts of the TOEFL iBT. And, that is how you sky-rocket your TOEFL iBT score. TOEFL Vocabulary lesson 1 helps you to learn and apply these strategies. What are you waiting for? You’ve read my blog posts and maybe you have received my E-mails. I hope by this point you can trust that I will give you high-quality instruction adapted from my TOEFL iBT classes at California State University, San Bernardino. Since 1994, I have taught almost 200 ten week TOEFL classes totaling more than 1,600 hours. I have spent 1,600 hours of teaching to figure out a system that will help you to get the highest TOEFL iBT score in the shortest time possible. You should buy my lesson because I am qualified to teach it, and I will teach you all the skills you need to beat the TOEFL iBT. As for getting my free instruction somewhere else, consider this question: “When you sit down to eat dinner, do you only want to eat an appetizer, or do you want the entire meal?” Other free web sites (believe me I surf the internet everyday and check ’em) do not give a complete, organized approached to passing the TOEFL iBT like I do. If they did, you would not be reading this message right now, would you? At Better TOEFL Scores, I give you all the pieces of the puzzle to help you put together the academic English skills to pass the TOEFL iBT. Teaching TOEFL is no joke. It is serious business. TOEFL Vocabulary Lesson 1 is an inexpensive lesson to help you save thousands of dollars because I know if you take this lesson, you will pass the TOEFL iBT sooner than you can imagine. Begum is taking her first university class in the United States; she is also one of my TOEFL iBT students. During this interview, you will learn the challenges that she faces as she completes her coursework. Most importantly, she explains how to overcome those challenges so you too can succeed when taking university courses in English.